Rolando Villazón, one of the world’s favourite tenors, returns to the very roots of the Italian romantic vocal tradition, with a selection of exquisite melodies of simple beauty and passion by the greatest of Italian opera composers. 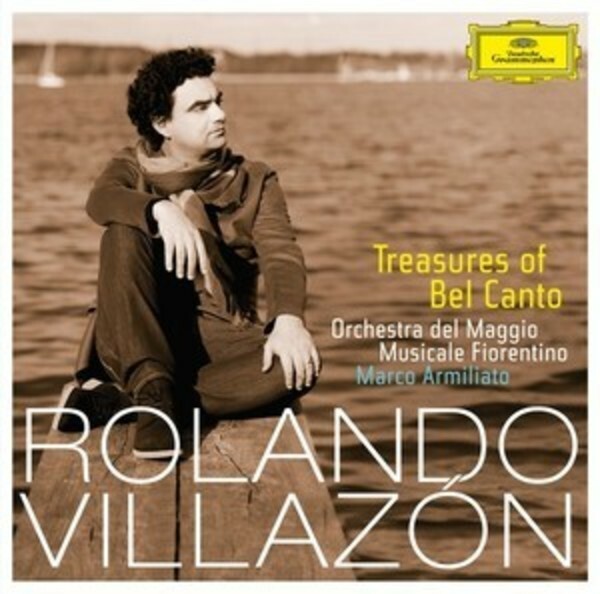 Following journeys through the music of Mozart and Verdi in recent years, Rolando now brings us a stunning collection of songs from the Romantic bel canto period - miniature gems penned by Bellini, Donizetti, Rossini and Verdi - originally scored for piano accompaniment and presented here for the first time in new arrangements for orchestra. The album features popular hit tracks such as Rossini’s 'La danza', Bellini’s 'Malinconia, ninfa gentile' and 'Vaga luna', as well as a delightful Rossini duet (Les Amants de Séville) with none other than 5-time Grammy award-winner Cecilia Bartoli. Undoubtedly one of the finest, most charismatic and recognisable tenors in the world of opera, Rolando continues to go from strength to strength. His varied and rich recording career has brought rave reviews for performances within all sorts of styles - from traditional opera aria repertoire to Baroque, Mexican and, more recently, noted collections of arias by Verdi and Mozart. All of this whilst holding down a top international opera house career in some of the finest venues of the world.